cheerleader hairpieces,Cheer hair piece ,posh pony, human hair ponytails, All star cheer Hair, Spirit ponys, cheer curls, Cheer hair, All Star cheer hair, Posh Ponies, cheer swirls, OneX50 hair spray, cheerleading hairpieces,cheer hair, hairpieces, classic curls, wigglet, hair for cheer,cheerleaders,cheerleading,cheer competition,high school cheer, cheer swirls,cheerleading hair pieces ,cheer hair flip , cheer hair teen spiral, cheer hair hottie,cheer hair wave, Winner style hairpiece, allstar cheer,scrunchies, eyelashes,dance,cheerleader magazine, elite cheer hair, cheer wiglets, irish dance, prom hair styles, up dos, dance, beauty contest hair,wig shampoo,wig conditioner,hair for cheer, wig restore,wig hair sprat,wig gel,wig care products, wig shampoo,wig conditioner, wig hair spray,wiggin out products,wiggin out products,spray in hair colors, sprayin highlights, highlights, eyelashes,festa hair, festa hair pieces, portugease celebrations, - THE CUFF - Top of line hairpiece Cuff all Synthetic Diamonds. 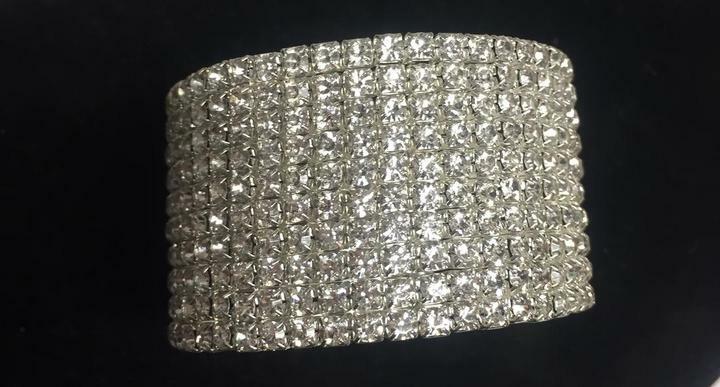 THE CUFF - Top of line hairpiece Cuff all Synthetic Diamonds. This Cuff is for hairpieces. Its 2 in by 2 in by 1 1/4 in tall . Slides around afer hairpiece is attached. This Cuff is for hairpieces. Its 2 in by 2 in . Slides around afer hairpiece is attached. Large Teams need to order a few weeks in advance.